I won’t go into much detail here other than to describe where the many variants came from. 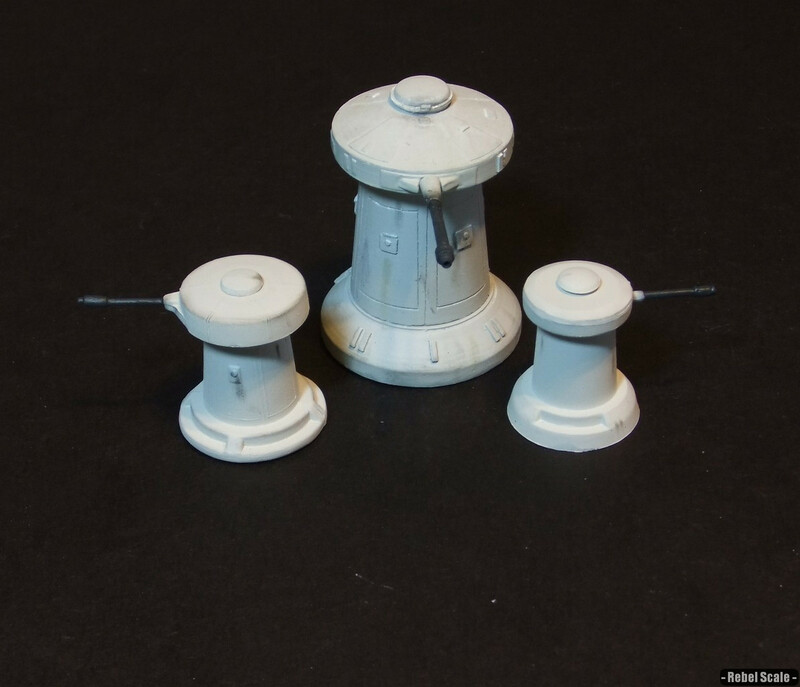 The left-side Golan Arms DF.9 batteries and the left-side Atgar P-towers came from the MPC Battle of Hoth Diorama model kit. This is an old snap-together kit, but had decent detail and allowed the turrets to rotate without modifications. The right-side DF.9s and the anti-air battery came from an AMT AT-AT and Snowspeeder reissue kits. The latter was constructed from Snowspeeder parts. 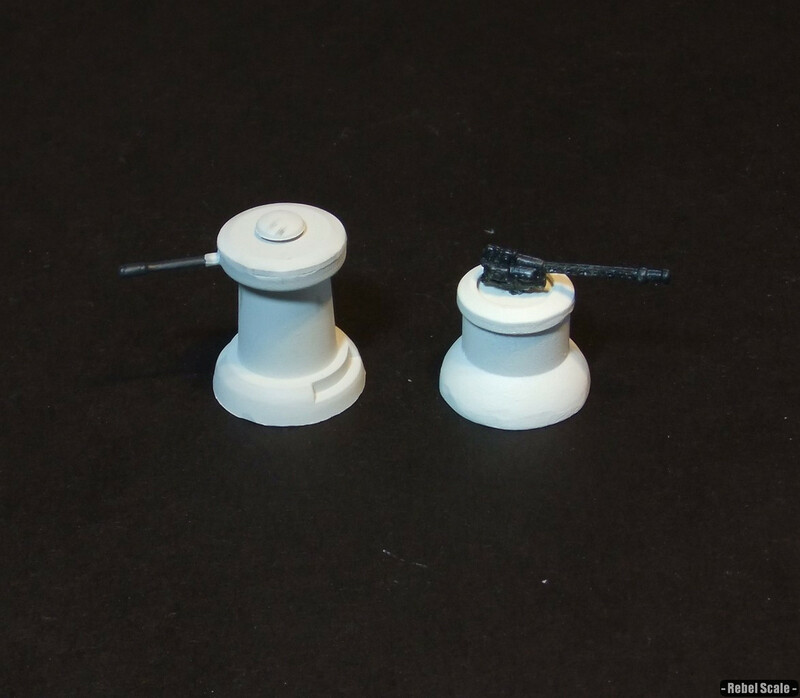 Neither of these have great detail, but do feature rotating turrets without modifications. 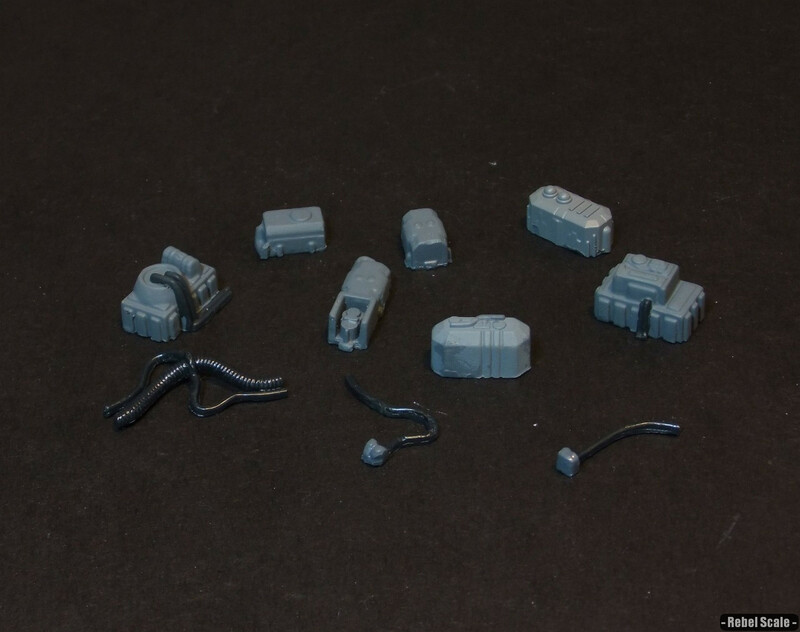 The custom heavy lasers were kit-bashed from the AMT kits as well. 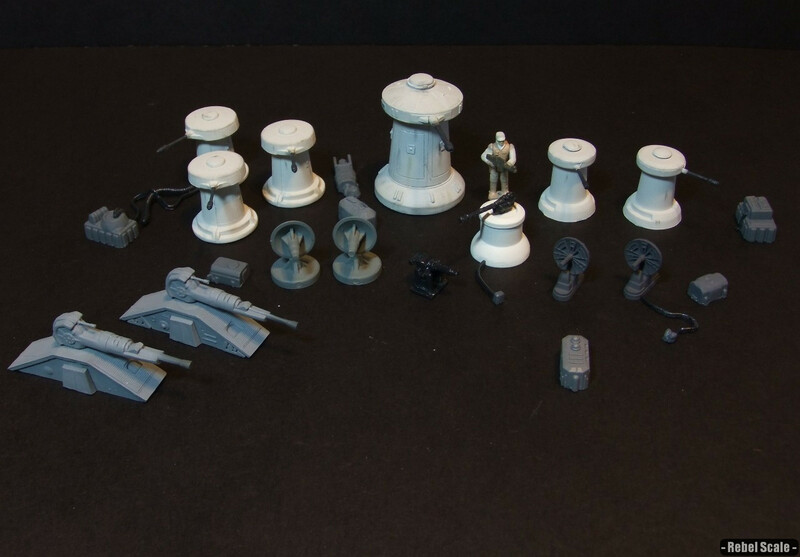 The large 1/72 scale DF.9 came from JPG Castings (through Starship Modeler). It is a resin kit with decent detail, though the panel lines aren’t very straight. I did add some detail pieces to the door hinge, and I made the turret rotatable. The small repeating blaster is a very, very old custom made from MM tank parts. 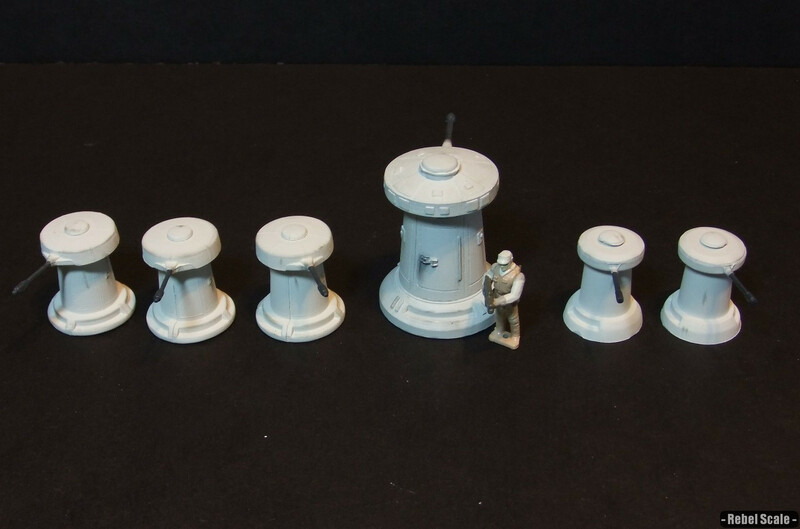 The right-side P-towers also came from a MM set, the first Hoth playset. 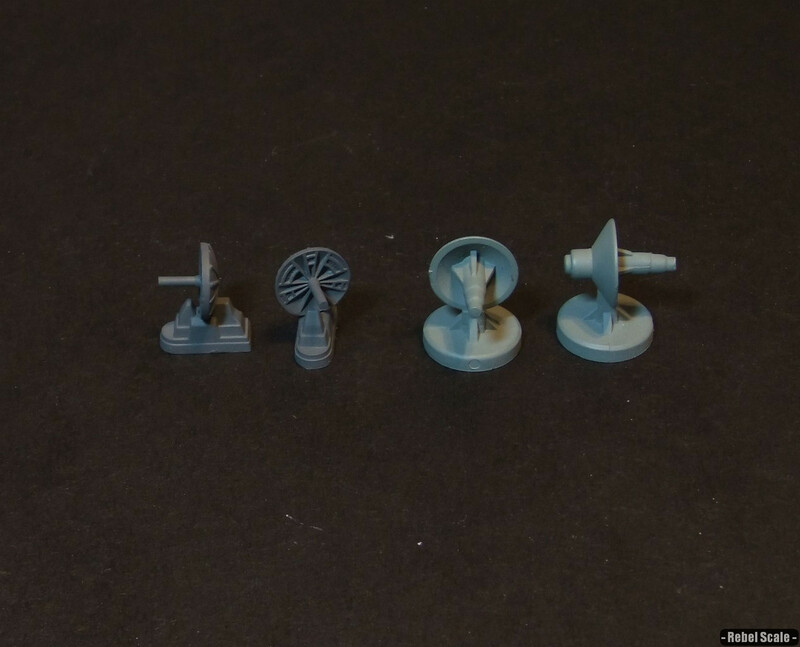 The power units and cables were taken from dismantled MM/AF Episode 1 playsets. Both the Golan Arms DF.9 anti-infantry battery and the Atgar 1.4 FD P-tower anti-vehicle laser entered production during the Clone Wars as cheap base defense turrets. During the reign of the Empire, pirates, smugglers, and the Rebel Alliance frequently used these turrets to defend their own facilities. Because they were cheap, most owners did not care if they were destroyed, as they could easily be replaced. 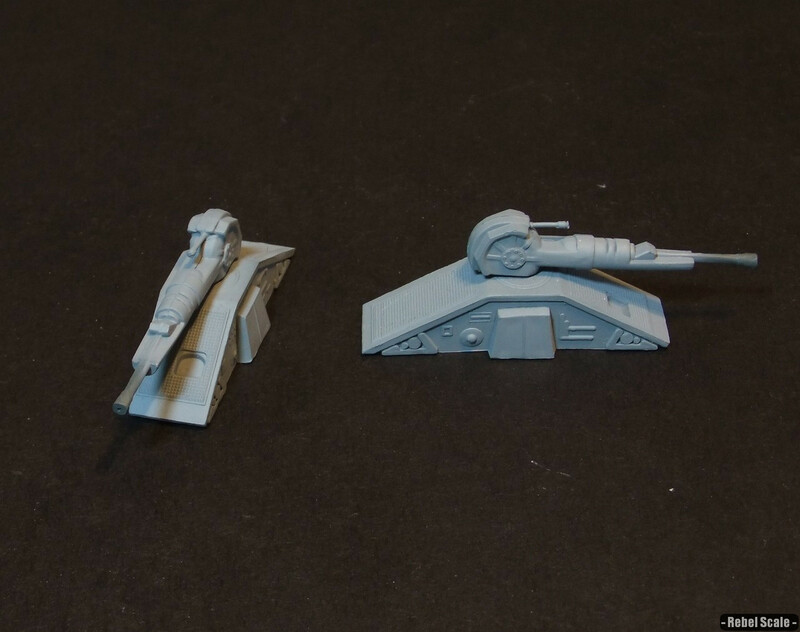 There are X-wing scaled (1/270) ones up on Shapeways, finally.